MLBennett Consulting LLC provides organizational and talent development consulting services to professional service firms and other organizations. Our mission is the sustainability of your organization through inclusive talent development. We contribute by assisting you in developing strategic approaches to building essential pools of talent. Services include diversity and inclusion diagnostics and very targeted solution and strategy development . These solutions may include leadership education and awareness, business case identification, priority setting, performance management enhancements, inclusive recruiting strategies, leadership development, coaching, sponsorship programming and building organizational capability relative to inclusive people development. MLBC has extensive experience in organizational development. MLBC also offers individual developmental coaching for those who lead these organizations. Please review our client testimonials. Also please click on service areas below to learn more. All topics listed are examples of the type of content available. Mary is a well known national and international speaker. All sessions are customization in terms of the actual topics covered and the length and format of the session. Each of these sessions may be delivered on site or virtually. Each topic is also flexible in terms of the length and format, ranging from one hour to a full day workshop or seminar. Consulting is also available in each of these areas as well as others. This session is for male leaders who want to understand how to be stronger leaders relative to gender diversity, retaining and developing women leaders. The session will answer the question: Why do women experience the culture of organizations differently then their male counterparts? How can we leverage these differences to maximize business results? The session will help male leaders understand the strategies that work to build effective gender diverse teams. The session will also help male leaders to understand how to effectively champion gender diversity initiatives, programs and strategies that are business focused and get results. Managers today are part of a workforce that desire more flexibility in terms of location, career path, schedule and work styles in general. This session will help to train managers on the best practices for managing flexibility in the work place with an approach that balances client needs, firm needs and individual needs. This is an art and a science and training is necessary to create successful outcomes. There are small things that create big differences in the experiences of women, minorities and any individual who represents a form of diversity in the organization. These differences are in part due to the way in which we experience the environment and also to the subtle differences in the way in which the environment interacts with us. Most of the differences are unconscious and leaders will insist that they do not interact any differently with individuals who are not in their majority group... in today's organizations still often white males. This session provides a practical guide for managers and executive leaders. The content promotes greater understanding what micro-inequities are and more importantly what each individual can do to become more aware and also to mitigate the impact of these with the goal of creating a more inclusive and effective environment. Our talent pools, clients, and markets are all becoming much more diverse. benefits of diversity and inclusion in our firms and organizations. Participants in this seminar will learn best practices in designing and executing a program that is specifically targeted to the firm and its strategies for growth and profitability. Participants will discuss concepts key to building an inclusive environment and will build a personal impact plan to support the firm’s goals. in cross cultural communication and the basics of inclusive behavior. The session will also help the participants understand how these elements play out in the workplace and how to continuously improve inclusivity and cross cultural relationship building skills. There are many myths about initiatives aimed at improving gender diversity. Is this about reverse discrimination? Is this about part-time work arrangements? Is this about women against men? Is this about women having children? This session answers all of these questions and more including why gender diversity efforts must be grounded in business, the surprising truth about the least understood success factors for women, why men and women should be concerned and work together on these efforts. This presentation draws on myths, mysteries and science to answer the most challenging questions many organizations have about improving gender diversity. The data regarding the differences in the male and female brain is growing. In addition to this data organizations need to understand how to interpret the data and make practical use of it in creating a more inclusive, successful and profitable culture. What are gender intelligent meetings? How do men and women approach conflict and what are the implications for business? How might brain science impact our perceptions of confidence in men and women? What is the difference between science and stereotype? This session brings the science into practical view for men and women looking to build a more successful organization through the leveraging of gender diversity. Comprehensive offering for women leaders including introduction to the status of women in the profession, skill building in key areas important to women in the profession including: Building a network, managing career-life integration, building your personal brand as a leader, executive presence, business development, communications and more. Offering may be .5 to 1.5 days with content expansion available. This session is for individuals who want to take a more organized approach to the integration of their life and career. Best practices in self management of a customized plan of career/life integration will be discussed. Each person will spend time on a personal career/life integration plan that aligns with their values. Participants will learn how to constructively discuss career/life planning with their managers and firm leaders. Contrary to popular belief, the most challenging aspect of achieving quality blending of work and life is learning to set personal boundaries effectively. This very personal aspect of successfully building a career that aligns with your personal life is rarely addressed which is why so many organizational attempts to offer employee tools and programs often fail. This session offers the participants an opportunity to consider ways in which they can more effectively partner with their organization and other stakeholders in their life to create a satisfying blend of personal and professional pursuits. Participants will take away a personal plan for immediate action. This seminar trains firm leaders on building a market focused Gender Diversity Initiative. It is critical that strategies support the bottom line focus and growth focus of the Firm. The session will focus on building components of a program to retain and advance women while tying the results of the program directly to the market, growth and bottom line of the Firm. This session is also available related to broader diversity programs. This session offers skill building for management related specifically to performance management and building accountability in teams. One of the most challenging skills for managers is learning to build accountability and positive team environments simultaneously. It is possible to accomplish both goals and participants of this session will take away skills and practical tips for beginning this process or improving existing skills. Delegation and personal leverage are skills every manager, senior manager and partner need to be successful. sponsorship program. The program is often structured to train organizations to implement a sponsor program. Sponsors and proteges are specifically trained and engage in the early aspects of the program during the Orientation. Sponsors and protégé’s will learn together in this seminar and practice key skills necessary to build a successful relationship that will benefit the individual and the Firm. The program is very targeted to individual professional development and results in retention and progression as well as deep learning by the Protege and Sponsor. Flexibility is not just a women’s issue but also a concern for many emerging leaders, both male and female. Men have increasing responsibilities related to family; many of the younger generations require flexibility as part of their chosen lifestyle. Research shows that those individuals who feel they have quality integration of career commitments with life commitments are more engaged at work. This employee engagement increases profitability for the organization. Engagement is also positively related to client satisfaction. Participants in this session will learn best practices related to building a flexible work culture, not just flexible work arrangements but a culture that supports flexibility for all employees who value this as an important component of their work environment. Concerns and conflicts with business operations will be discussed and management will be trained on how to handle such conflicts. This offering represents a business focused approach to flexibility. profession. These initiatives are not about women’s only groups, quotas, or promoting women before men. These efforts are about ensuring that men and women lead together for the best possible future of the profession. we have diversity of thought at all levels within the organization. The goal is to lead together for the best possible future of the firm. This session outlines career navigation strategies for women in accounting. The session will enable participants to understand the ways in which a woman’s journey in the profession may still be different today than her male peers. to own their career progress. Mary L Bennett has over twenty years of experience in the accounting and consulting industry. Seventeen years of this experience has been with Crowe Horwath LLP, a top ten accounting and consulting firm. Mary served as a client service partner at Crowe. Mary’s roles have included Practice Leadership, Market Development, Business Development, Client Service, Engagement Leadership, and Organizational Development. Areas of expertise include Enterprise Risk Management, Internal Audit, Leadership Development, Talent Development, Inclusiveness Programs, and Women’s Leadership Programs. 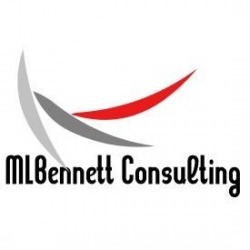 MLBennettConsulting LLC provides consulting services in Talent and Organizational Development. Specialties include Succession Planning, Partner Development, Leadership Development, Gender Diversity Initiatives, Diversity & Inclusiveness, Career Life Programs, Sponsorship Programs, Executive Coaching. Long term outsourcing arrangements are available. -Career-Life Integration Coaching and "Coach the Coaches"